Welcome to LiteracyMatters.Education! My name is Rose Marie Codling and I hope to use this blog to get to know you and to share interesting literacy information with you. I started Literacy Matters with the hope of supporting literacy learning and literacy practice for people of all ages. Here’s a little bit about my own experiences with learning to read and write. I was born and raised in the Washington, D.C. area. I always loved books. 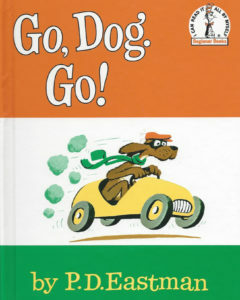 One of my earliest memories is my mom reading Go Dog Go by P.D. Eastman to my five sisters and me. When I went to Holy Family Catholic School, I was an OK student, getting A’s, B’s and an occasional C. One of my favorite teachers was Mrs. Davis in third-grade. She read Ian Flemings’s Chitty Chitty Bang Bang to the class after recess every day. That was so memorable because Holy Family was known to be all business and it was unusual to have teachers read aloud. 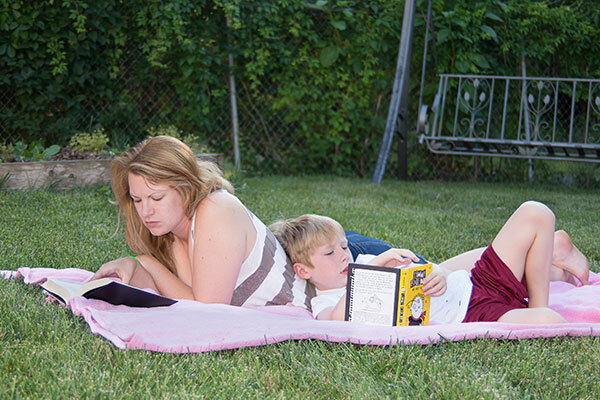 I remember that it was just fun to sit back and listen to a good reader share a wonderful story. I think that was the beginning of my love of reading but I was not a great reader. All through those early years, I remember being in the middle reading group and my three best friends were always in the top group. I never understood that and I didn’t know how to get to the top. It made me feel that I wasn’t as smart as them and I carried that feeling with me for many years. But I did love books and remember walking to the public library and checking out stacks of books. Carolyn Haywood, Lois Lowry and Beverly Cleary were my favorite authors. Ribsy was my favorite book of all! I was always excited to get lots of books, but usually returned them 3 weeks later without having read most of them. It was just such hard work. After Holy Family, I transferred to public school, Benjamin Stoddert Junior High School for 9th grade and then Potomac in Oxon Hill for high school. I think it’s safe to say I went from being a good student to being a mediocre student. I didn’t put tremendous effort into my work and I did very little extra reading. I will say that sometime during high school, I discovered two authors that I enjoy to this day. Rosamunde Pilcher writes family sagas with lots of drama. Daphne Du Maurier wrote the only book I’ve ever read more than once – Frenchman’s Creek – a beautifully written story about the romance between a clever French pirate and a fine English gentlewoman. It’s my absolute favorite and I’ve read it more times than I can count. Graduating from Potomac High School, I wanted to be a nurse. I attended Washington Hospital Center’s School of Nursing and the main thing I learned was that I didn’t actually want to be a nurse! I finished one year there and transferred to Prince George’s Community College (PGCC) where I earned an Associate’s Degree. During college, I did a lot of reading but it was mostly in textbooks – not the most exciting thing to read! In my last semester at PGCC, I took an education class and decided to teach children. This was when I became interested in children’s literature. I remember the first book I bought for my professional library – This Can Lick a Lollipop by Joel Rothman and Argentina Palacios. A little sample: “This can wear a hat or bonnet. It has lots of hair upon it. It is your . . .” I still have it on my bookshelf, along with a few hundred additional treasures that I have more recently acquired – Something from Nothing by Phoebe Gilman, I Love You Stinky Face by Lisa McCourt, Horton Hatches the Egg by Dr. Seuss, Mike Mulligan and His Steam Shovel by Virginia Lee Burton, Molly Meets Mona and Friends by Denise Bennett Minnerly, The Huge Bag of Worries by Virginia Ironside. I could continue … but I’ll refrain. After the community college, I went on to the University of Maryland College Park (UMCP) and earned a Bachelor’s Degree. Go TERPS! In my next blog, I’ll talk about my early career.